Despite his reputation for shyness and diffidence, Osama bin Laden ran al-Qaeda as a dictatorship, Peter Bergen says. 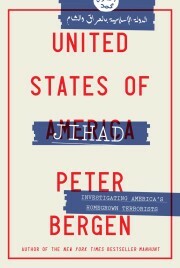 Bush had predicted al-Qaeda’s destiny in "history’s unmarked grave of discarded lies"
Bergen: "Jihadists will be mindful that their world has passed them by"
Editor’s Note: Peter Bergen, CNN’s national security analyst, is the director of the national security studies program at the New America Foundation. His latest book is "The Longest War: The Enduring Conflict Between America and al-Qaeda." This article first appeared at Time.com. Osama bin Laden long fancied himself something of a poet. His compositions tended to the morbid, and a poem written two years after 9/11 in which he contemplated the circumstances of his death was no exception. Bin Laden wrote, "Let my grave be an eagle’s belly, its resting place in the sky’s atmosphere amongst perched eagles." As it turns out, bin Laden’s grave is somewhere at the bottom of the Arabian Sea, to which his body was consigned after his death in Pakistan at the hands of U.S. Navy SEALs. If there is poetry in bin Laden’s end, it is the poetry of justice, and it calls to mind what President George W. Bush had predicted would happen in a speech he gave to Congress just nine days after 9/11. In an uncharacteristic burst of eloquence, Bush asserted that bin Laden and al-Qaeda would eventually be consigned to "history’s unmarked grave of discarded lies," just as communism and Nazism had been before them. Though bin Laden’s body may have been buried at sea on May 2, the burial of bin Ladenism has been a decade in the making. Indeed, it began on the very day of bin Laden’s greatest triumph. At first glance, the 9/11 assault looked like a stunning win for al-Qaeda, a ragtag band of jihadists who had bloodied the nose of the world’s only superpower. But on closer look it became something far less significant, because the attacks on Washington and New York City did not achieve bin Laden’s key strategic goal: the withdrawal of the U.S. from the Middle East, which he imagined would lead to the collapse of all the American-backed authoritarian regimes in the region. Instead, the opposite happened: The U.S. invaded and occupied first Afghanistan and then Iraq. By attacking the American mainland and inviting reprisal, al-Qaeda, which means "the base" in Arabic, lost the best base it had ever had: Taliban-ruled Afghanistan. In this sense, 9/11 was similar to another surprise attack, that on Pearl Harbor on the morning of December 7, 1941, a stunning tactical victory that set in motion events that would end in the defeat of imperial Japan. Shrewder members of bin Laden’s inner circle had warned him before 9/11 that antagonizing the United States would be counterproductive, and internal al-Qaeda memos written after the fall of the Taliban and later recovered by the U.S. military show that some of bin Laden’s followers fully understood the folly of the attacks. In 2002 an al-Qaeda insider wrote to another, saying, "Regrettably, my brother … during just six months, we lost what we built in years." 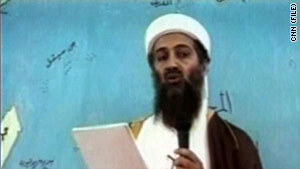 The responsibility for that act of hubris lies squarely with bin Laden. Despite his reputation for shyness and diffidence, he ran al-Qaeda as a dictatorship. His son Omar recalls that the men who worked for his father had a habit of requesting permission before they spoke with their leader, saying, "Dear prince, may I speak?" Joining al-Qaeda meant taking a personal religious oath of allegiance to bin Laden, just as joining the Nazi Party had required swearing personal fealty to the Führer. So bin Laden’s group became just as much a hostage to its leader’s flawed strategic vision as the Nazis were to Hitler’s. The key to understanding this vision and all of bin Laden’s actions was his utter conviction that he was an instrument of God’s will. In short, he was a religious zealot. That zealotry first revealed itself when he was a teenager. Khaled Batarfi, a soccer-playing buddy of bin Laden’s on the streets of Jidda, Saudi Arabia, where they both grew up, remembers his solemn friend praying seven times a day (two more than mandated by Islamic convention) and fasting twice a week in imitation of the Prophet Muhammad. For entertainment, bin Laden would assemble a group of friends at his house to chant songs about the liberation of Palestine. Bin Laden’s religious zeal was colored by the fact that his family had made its vast fortune as the principal contractor renovating the holy sites of Mecca and Medina, which gave him a direct connection to Islam’s holiest places. In his early 20s, bin Laden worked in the family business; he was a priggish young man who was also studying economics at a university. His destiny would change with the Soviet invasion of Afghanistan in late 1979. The Afghan war prompted the billionaire’s son to launch an ambitious plan to confront the Soviets with a small group of Arabs under his command. That group eventually provided the nucleus of al-Qaeda, which bin Laden founded in 1988 as the war against the Soviets began to wind down. The purpose of al-Qaeda was to take jihad to other parts of the globe and eventually to the U.S., the nation he believed was leading a Western conspiracy to destroy true Islam. In the 1990s bin Laden would often describe America as "the head of the snake." Jamal Khalifa, his best friend at the university in Jidda and later also his brother-in-law, told me bin Laden was driven not only by a desire to implement what he saw as God’s will but also by a fear of divine punishment if he failed to do so. So not defending Islam from what he came to believe was its most important enemy would be disobeying God, something he would never do. In 1997, when I was a producer for CNN, I met with bin Laden in eastern Afghanistan to film his first television interview. He struck me as intelligent and well-informed, someone who comported himself more like a cleric than like the revolutionary he was quickly becoming. His followers treated bin Laden with great deference, referring to him as "the sheik," and hung on his every pronouncement. During the course of that interview, bin Laden laid out his rationale for his plan to attack the U.S., whose support for Israel and the regimes in Saudi Arabia and Egypt made it, in his mind, the enemy of Islam. Bin Laden also explained that the U.S. was as weak as the Soviet Union had been, and he cited the American withdrawal from Vietnam in the 1970s as evidence for this view. He poured scorn on the notion that the U.S. thought of itself as a superpower "even after all these successive defeats." That would turn out to be a dangerous delusion, which would culminate in bin Laden’s death at the hands of the same U.S. soldiers he had long disparaged as weaklings. Now that he is gone, there will inevitably be some jockeying to succeed him. A U.S. counterterrorism official told me that there was "no succession plan in place" to replace bin Laden. While the Egyptian Ayman al-Zawahiri had long been his deputy, he is not the natural, charismatic leader that bin Laden was. U.S. officials believe that al-Zawahiri is not popular with his colleagues, and they hope there will be disharmony and discord as the militants sort out the succession. As they do so, the jihadists will be mindful that their world has passed them by. The al-Qaeda leadership, its foot soldiers and its ideology played no role in the series of protests and revolts that have rolled across the Middle East and North Africa, from Tunisia to Egypt and then on to Bahrain, Yemen and Libya. Bin Laden must have watched these events unfold with a mixture of excitement and deep worry. Overthrowing the dictatorships and monarchies of the Middle East was long his central goal, but the Arab revolutions were not the kind he had envisioned. Protesters in the streets of Tunis and Cairo didn’t carry placards with pictures of bin Laden’s face, and the Facebook revolutionaries who launched the uprisings represent everything al-Qaeda hates: they are secular, liberal and anti-authoritarian, and their ranks include women. The eventual outcome of these revolts will not be to al-Qaeda’s satisfaction either, because almost no one in the streets of Egypt, Libya or Yemen is clamoring for the imposition of a Taliban-style theocracy, al-Qaeda’s preferred end for the states in the region. Between the Arab Spring and the death of bin Laden, it is hard to imagine greater blows to al-Qaeda’s ideology and organization. President Barack Obama has characterized al-Qaeda and its affiliates as "small men on the wrong side of history." For al-Qaeda, that history just sped up, as bin Laden’s body floated down into the ocean deeps and its proper place in the unmarked grave of discarded lies.